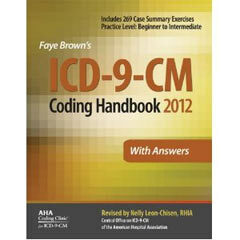 For the last thirty years, the medical community in the United States has used ICD-9 codes, or International Classification of Diseases, 9th Edition. This is the system of diagnosis codes, used in medical claims, to communicate the patient's condition at office visits. Thirty years ago, this system was complex, complete, and suited all of the needs of both medical providers as well as insurance companies. But due to the increasing complexity of medical diagnoses, and the increasingly stringent insurance requirements regarding diagnosis codes, ICD-9 codes are now almost completely obsolete. ICD-9 codes don't provide the necessary detail for patient medical conditions, or the procedures and services provided to hospital patients. Furthermore, the ICD-9 system contains outdated terminology, codes that produce inaccurate data, and codes that are inconsistent with current medical practice. Because of this, the ICD-9 system is not capable of producing an accurate picture of patient care in the 21st century. The United States healthcare community must transition to the new ICD-10 system. The International Classification of Diseases, 10th Edition, is the system to which medical providers and insurance companies must transition by October 1, 2014. This means that on October 1, 2014, each and every entity that bills insurance, reports medical diagnoses to the state, or uses medical diagnoses in claims or other paperwork, must use the new ICD-10 codes. Other countries have already begun using this system. As early as 1995, the United Kingdom was using ICD 10 codes. France implemented it in 1997, Australia in 1998, Germany in 2000, and Canada in 2001. This new system provides improvements to the medical reporting process, by including more detailed information. It also has the ability to expand to include additional advancements in medicine. Example: the ICD-9 code for pressure ulcer includes 9 different codes, ranging from 707.00 to 707.09, depending on the location of the pressure ulcer. The ICD-10 coding system, however, includes 125 different codes, ranging from L89.131 to L89.152, depending on the location and depth of the pressure ulcer. As you can see, the ICD-10 system contains much more detail and depth of coding than the ICD-9 system. The following is a side by side comparison of ICD-9 codes and ICD-10 codes. You can easily see how much more complicated ICD-10 codes are than the earlier ICD-9 versions. Even though the new ICD 10 codes are much more complex, they will not necessarily be more difficult. Just because a dictionary has more words in it, it doesn't mean it's harder to use. The same is true with ICD-10. It may, in fact, be easier to locate the exact code that you need in ICD-10. Many times, in the ICD-9 system, time is lost searching for a precise code which doesn't exist. This means that event though you may have a very precise diagnosis, there is no precise code with which to match it. With ICD-10 codes, on the other hand, there's a better likelihood that this code will exist with precise description, and fit exactly with what you're looking for. In this case, the ICD-10 system will actually be easier to use. You may be wondering how the ICD-10 system is really more up to date and accurate than the ICD-9 system, since it has been in use since 1995. Due to the nature of ICD-10 codes, which are easily updated and changed to make way for updates, the codes have remained current. When necessary, each code is updated to account for the most current medical terminology and medical practices. Because of the changing nature of all medical codes, it's imperative that you use the current year code books in your coding practice. It is the same with ICD-10, which are also updated as necessary each year. See important medical coding publications for more help. Another important thing to note is that only ICD-9 codes are changing for regular medical practices. This means that all other HCPCS ad CPT codes will remain the same. 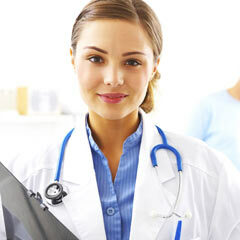 All you will have to change is the diagnosis code (ICD-9/ICD-10) used for each procedure. However, if you're working in an inpatient hospital setting, you'll have to change your procedure codes. If you're coding in the inpatient hospital setting, you'll need to know a different set of ICD-10 codes. 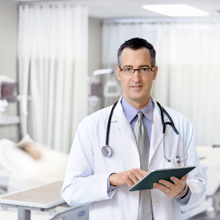 ICD-10-PCS codes are a specially designed set of codes used in the inpatient hospital setting. At the onset of ICD-10, all of the procedure codes used in this setting will change from the ICD-9-CM Procedure codes to the ICD-10-PCS Procedure codes. As in the case with ICD-10, these new codes are much more specific and detailed, allowing for a fuller communication of what happened at the hospital visit. No matter which setting you are working in, if you plan on staying in the medical industry for the next few years or more, you must learn and use the new ICD-10 coding system. This will be a difficult transition at first, but worth the effort. The new and more detailed approach will help all of those involved with the medical industry know the exact details of a medical visit by only looking at a few codes. Want to learn more about medical coding? See the history of medical coding.